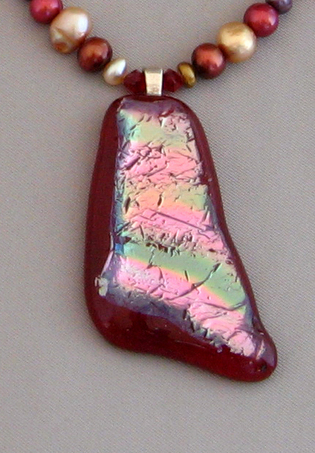 This set features a transparent red, handmade fused glass pendant with a lightly textured dichroic glass surface. 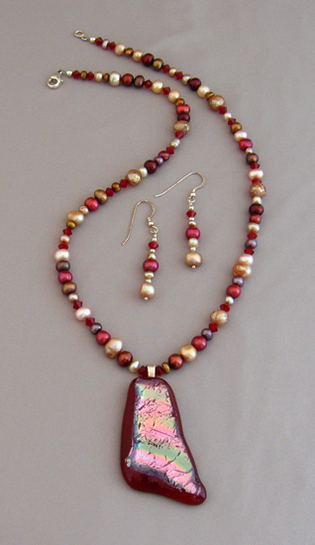 It is complemented with dyed fresh water pearls in a rich variety of sizes, shapes and hues from deep red to golden. Swavorski crystals are added for a touch of sparkle. Sterling silver pendant bail, clasp, and earrings.